What’s better than an epic party at sea? An epic party with a BBQ! Join Stoke Travel’s BBQ Boat Party for an afternoon of fun at sea. If you’re like us and like to eat while you party, the BBQ Boat Party is just the treat for you! This party sets sail every Saturday throughout the summer. 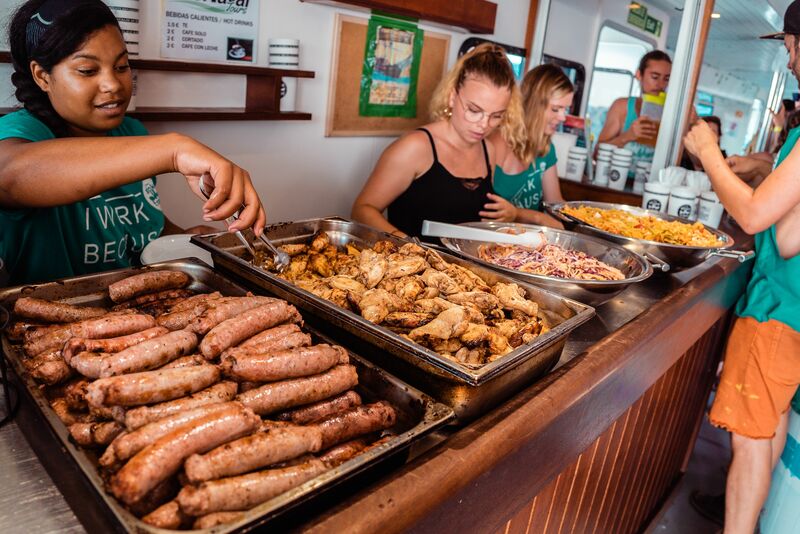 The BBQ Party Boat special includes all your favorite features from our Original Barcelona Boat Party like a live DJ, dance floor, and party crew, but with with the added extras of a swim stop off the beautiful Barcelona coastline, AND an epic BBQ. All included. Note: There will be no BBQ Boat Parties on the 15th and 20th of June. Want to join? Book here! The BBQ Boat Party is operated by our partners at Stoke Travel.